Following the success of the previous conferences, we are excited to announce that “2nd Middle East Heart Congress” will be held during March 09-10, 2020 at Abu Dhabi, UAE. The theme of the conference is “Fostering the Excellence in Cardiac Science”. 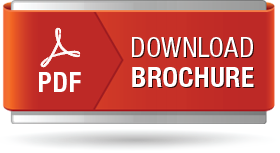 Heart 2020 gathering aims to unite the most dedicated minds in the business, driving Physicians, Medical Practitioners, Surgeons, Nurses and scholastics to share thoughts and feature their accomplishments. Heart 2020 will be an international event focussing on the core knowledge and major advances in the ever-expanding field of Cardiology by attracting experts on a global scale. It is a great pleasure for us to welcome all the Cardiologists, nurses, researchers, students and delegates to take part in this upcoming congress to share views and knowledge through interactive keynote, plenary, poster and B2B discussions in the field of Cardiology. This conference provides an excellent opportunity to establish research collaborations & networking, and to discuss the latest developments & challenges within the field. We sincerely invite you to join us in this very informative annual conference and collaborate in the global action in reducing the burden of cardiovascular diseases. Your presence will certainly add value to the conference. 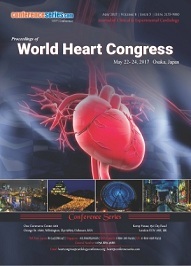 Heart 2020 will provide two days of robust discussions on methods and strategies related to diagnosis, prevention and management of cardiac diseases as well as explore new ideas and concepts on a global scale and the topics include Cardiac and Cardiovascular Research, Cardiac Nursing, Cardiac Surgery, Cardiac- Oncology, Cardio metabolic Health- Diabetes, Obesity & Metabolism, Cardiovascular Disease and Nutrition, Cardiovascular Pharmacology and Pharmacotherapy, Case Reports on Cardiology, Clinical and Experimental Cardiology, Current Research in Cardiology, Heart disease: Diagnosis and Testing, Heart Failure and Cardiomyopathies, Stem Cell Research and Regeneration on Cardiology, Pediatric and Neonatal Cardiology, Women and Heart Disease. Cardiac and Cardiovascular Research is related to diagnosis and the problems related to cardiovascular diseases. It creates a platform to share the information with the scientists, researchers esteemed professionals who are involved in surgical and medical cardiovascular treatments. Mainly dealing with heart diseases, cardiovascular medicine, echocardiography, cardiac electrophysiology, Neuro cardiology. Recent Researches is showing how rheumatoid can be related to microvascular endothelial dysfunction, which is thought to be an important cause for increased risk of cardiovascular diseases in patients. Cardiac nurses or Heart medical attendants perform postoperative care on a careful unit, push test assessments, cardiovascular observing, vascular checking, and health assessments. Cardiovascular medical attendants must have basic life support and advanced cardiac life support confirmation. Likewise, they must have specific abilities including electrocardiogram checking, defibrillation, and drug organization by nonstop intravenous drip. Cardiac nurses work in a wide range of situations, including cardiac surgery wards, cardiovascular intensive care units (CVICU), cardiac catheterization, operating theatres, coronary care units (CCU), intensive care units (ICU), cardiac rehabilitation centre, clinical research, and cardiac medical wards. Cardio-oncology is another term to describe the efforts to prevent or treat patients with a tumour who are facing heart issues caused by cancer medicines. Although numerous malignancy patients also have conditions associated with Chronic obstructive pulmonary disease (COPD), other infections or chronic kidney disease (CKD), the descent of heart disease in these patients has led to the development of this new field. Cardio-oncology includes malignancy specialists (oncologists), cardiologists and analysts. Cardio-oncology is expeditiously developing field aimed at limiting the impacts of cardiovascular diseases and mortality in tumour survivors. To meet this point, patients are evaluated and characterized, their danger of cardiotoxicity are observed and assessed during and after chemotherapy to survey for early signs or indications of heart diseases. Specifically, transthoracic echocardiography in cardiovascular imaging plays the fundamental role in the standard evaluation and serial follow-up of cardio-oncology patients. The mechanism of cardiotoxicity of common chemotherapeutic related with an expanded hazard for left ventricular systolic in cardio-oncology patients. Cardio-Oncology is to propel the science and routine with regards to this rising field to discover a harmony between oncologic viability and diminishing antagonistic cardiovascular impacts through convenient distribution and spread of companion looked into inquiring about. As an open access, online diary Cardio-Oncology gives a high permeability stage to the distribution of unique research and master audits on the cardiovascular impacts of tumour treatment. Cardio-oncology is the crossing point of heart conditions in patients who have been dealt with for tumour. Cardiologists can evaluate patients for potential danger of creating heart conditions if patients take certain kinds of malignancy medications or following radiation treatment to the chest. They likewise enable oncologists to ensure their patients amid treatment by nearly viewing the heart and perceiving heart inconvenience ahead of schedule in treatment. Hazard evaluation must consider the real hazard factors: cigarette smoking, hoisted pulse, abnormal serum lipids and lipoproteins, and hyperglycaemia and be inclining hazard factors: abundance body weight and stomach heftiness, physically inactive, and family history of Cardiovascular diseases (CVD). Recognizable proof of hazard factors is a noteworthy initial step for building up an arrangement for the chance diminishment in people with diabetes. Heart and cardiovascular diseases are the main sources of hospitalizations and demise in the United States and other places in the world. Developing new remedial agents for heart diseases has been the prior need for the pharmaceutical business in light of the enormous potential market for these medications. A portion of these fresher medications is every now and then utilized as a part of the act of cardiovascular anaesthesiology. This article surveys the ongoing advances in cardiovascular solutions identified with the act of heart anaesthesia cardiovascular pharmacology mainly relating the instrument of activity of various classes of medications to their impact on the control of the cardiovascular system. It will cover both highly up to date kinds of medication and late advances in comprehension of more approved medications. Understanding the component of activity of any new medication enables anaesthetists to join new medications into their clinical practice The investigation of essential components and pathways engaged with heart pace making and the control of the vasculature will feature new focuses for atomic mediation in heart diseases. In the mix, the age of little atoms will permit the examining of such components and pathways both to improve our comprehension of the fundamental science or pathology, and to feature new conceivable helpful leads and along these lines draw in the consideration of industry. Some of the important studies carried out in cardiac pharmacology: Development of novel anti-inflammatory drugs for atherosclerosis; Ion channel reconstitution studies; Endothelial-vascular smooth muscle signalling; inotropic mechanisms; Development of novel anti-ischemic agents; Cellular mechanisms of pace making and arrhythmogenesis; Pathway biology of the cardiovascular system; drug-induced cardiotoxicity mechanism. Case reports offer exceptional value to the assemblage of medicinal information by presenting about new diseases, diagnosis instruments, therapeutic approaches restorative methodologies, and unfavourable or useful impacts of medications. The demonstration of recording, examining with associates and publishing clinical perceptions as case reports stay as basic to the solution and patient care. These short correspondences produce or implement speculations that may prompt further assessment for bigger examination. By giving the complete description of the side effects, signs, finding, treatment, and follow-up of an individual patient, case reports reflect clinical experience and bolster medicinal advance. The arrangement needs factual inspecting, putting it at the base of the hierarchy of clinical proof. Case reports exclude controls, have constrained example measure (one to a couple of people), and are unblended, impediments that require a wary way to deal with the understanding of discoveries. Advances in drug imply that if coronary heart disease (CHD) is recognized as a beginning period it can be dealt with effectively to expand the survival rate. To identify heart conditions associated with healthy vs unhealthy, the diagnostic tests are done. Physical condition likewise will be evaluated through a standard medicinal exam. An electrocardiogram, or ECG, is typically the primary test to be performed that detects and records the heart’s electrical activity. It is a painless test which can show the signs of heart damage and the signs of previous or current heart attack. Echocardiograms (ultrasound assessments of the heart) can likewise decide how well the heart and valves are working. Some of the tests include Stress test, Cardiac CT scan, MRI, Coronary angiogram, Myocardial Biopsy, Chest x-ray, Blood tests. The most widely recognized reason for heart disappointment is coronary artery disease (CAD), there is a lot of trouble caused narrowing of the arteries, which supply blood and oxygen to the heart. Different conditions that may build hazard for treating heart failure include: Heart disappointment is described by the difficulty to draw a sufficient supply of blood to the body. Without adequate bloodstream, all major functions of the body part are disturbed. Pediatric Cardiology is a branch of cardiology that deals with the heart conditions in babies, youngsters and adolescents. Pediatric Cardiology treatment in Dubai has incredibly developed in a previous couple of years and has helped a huge number of youngsters to have existences today. A pediatric cardiologist analyse, treat, and oversees heart issues in kids, including: "Congenital coronary diseases" children conceived with heart ailments, for example, gaps between the heart chamber, valve issues, and unusual veins; "Arrhythmias", or irregular heart rhythms caused by the electrical framework that controls the heartbeat. Pediatric cardiologists work intimately with essential care pediatricians to give facilitated and thorough care. Since heart issues can now and then be accompanied by different challenges for youngsters, pediatric cardiologists additionally work in groups with other health services providers. These groups include pediatric heart specialists, cardiovascular anaesthesiologists, neonatologists, cardiovascular pediatric intensivists, and pediatric radiologists along with pediatric medical attendants, nutritionists, and physical advisors. They have the ability to accomplish the needs of children’s with heart issues and are especially sensitive to their necessities. Some pediatric cardiologists spend the last 1 to 2 years of their fellowship concentrating on how to analyse and treat heart issues in kids. Cardiovascular recovery is an expansive exertion that expects to repair irreversibly harmed heart tissue with science and technology, which includes mainly use of free-cell and stem cell therapy. Reparative devices have been designed to re-establish damaged and affected heart tissue and utilizing the body's regular capacity to recover. Researchers are finding regenerative arrangements that can be re-established, recharge and reuse patients' own reparative limit. Through the vision and liberal help of Russ and Kathy Van Cleve, attempts are in progress to create revelations that will globally affect ischemic coronary diseases. Cardiovascular disease is very prominent in women’s, which causes 1 of every 3 deaths every year, around 1 female every passing minute. In addition: These realities just start to touch the most superficial layer. There are a few misguided judgments about coronary heart disease (CHD) in ladies, and they could be putting oneself in danger. All women confront the risk of coronary diseases. If, awareness gives mindful of side effects and dangers only related women’s, and in addition eating a heart-sound eating regimen and working out, can protect them from heart disease. The more aged the women gets, more is the probable for her to get CHD. All women’s can find a way to avoid it by rehearsing right way of living their life. These may happen in rest or start due to physical action or can be activated by mental stress. In some cases, coronary illness might be quiet and not analysed until the point they encounter signs or side effects of a heart attack, heart disappointment, an arrhythmia or stroke. 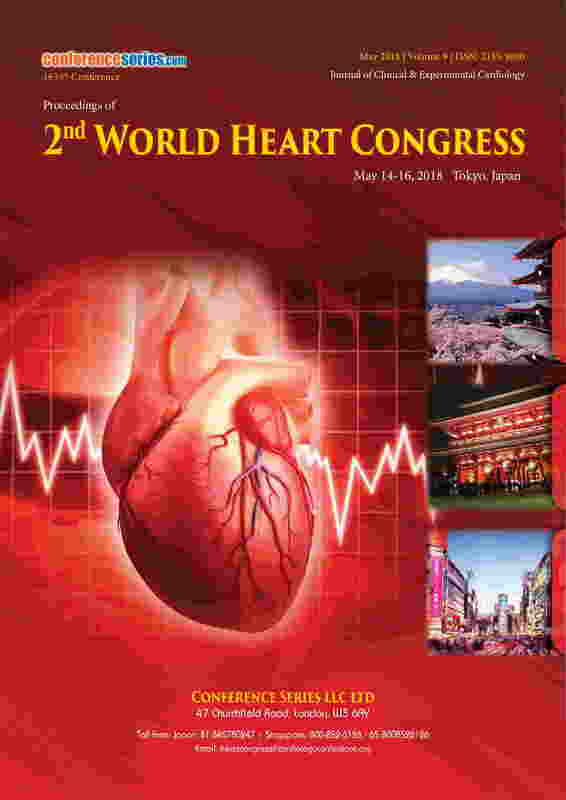 The Middle East Heart Congress hosted by Conference Series LLC was successfully held during March 18-20,2019 at Dubai, UAE and was marked with the presence of the committee members, senior scientists, young and brilliant researchers, business delegates and talented students from various countries, who made this conference successful and productive. from Sheikh Khalifa Medical City, UAE for their generous support. Conference Series LLC has taken the privilege of felicitating Heart 2019 Organizing Committee, and Keynote Speakers who supported the event. The esteemed guests, Keynote speakers, well-known researchers and delegates shared their innovative research and vast experience through their fabulous presentations at the podium of grand Heart 2019 Conference. 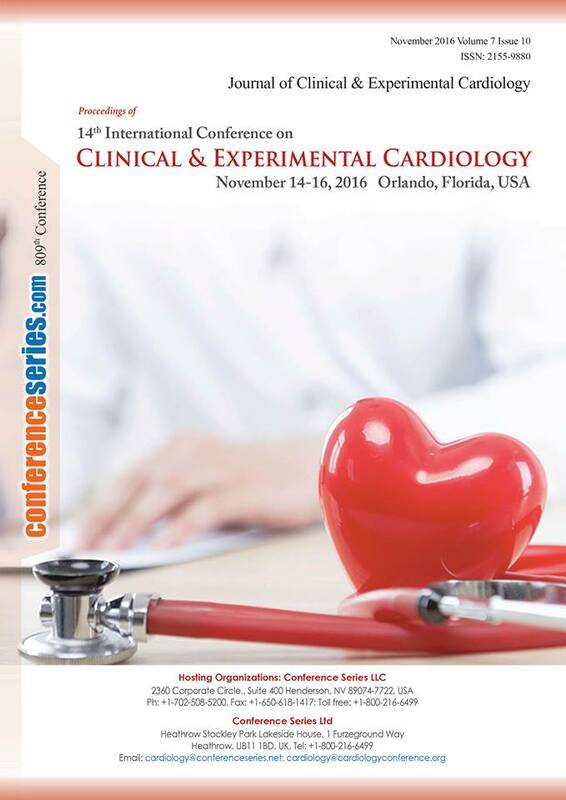 We are glad to inform that all accepted abstracts for the conference have been published in Conference Series LLC “ Journal of Clinical & Experimental Cardiology” as a special issue. We are also obliged to various delegate experts, company representatives and other eminent personalities who supported the conference. We sincerely thank the Organizing Committee Members for their gracious presence, support and assistance. With the unique feedback from the conference, Conference Series LLC would like to announce the commencement of the “Middle East Heart Congress” to be held during March 18-20, 2019 at Dubai, UAE.